HbA1C test or glycated haemoglobin (sometimes misspelt as Hb1AC test) is a test that measures average blood sugar levels over a period of last six to 12 weeks. HbA1C test is used to diagnose diabetes or pre-diabetes status in the patient. 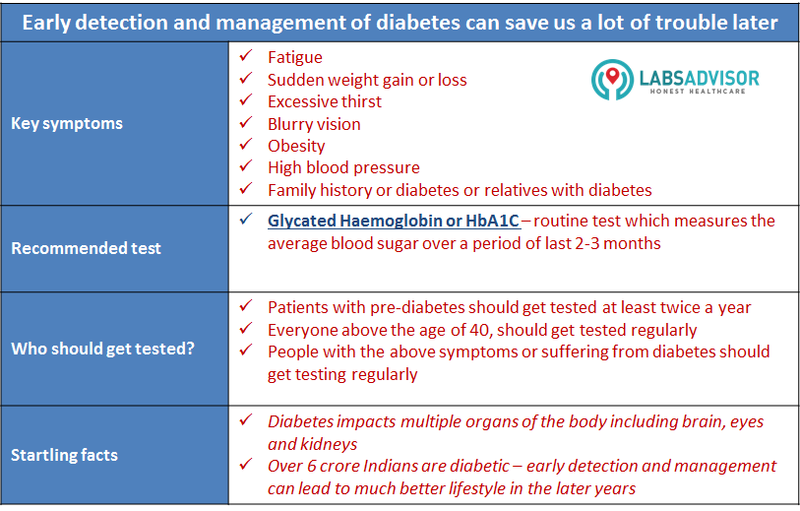 For identified pre-diabetic or diabetic, HbA1C test may be used regularly to monitor the maintenance of a healthy lifestyle and whether diabetes management plan is working or not. Haemoglobin is a substance that carries oxygen in our body. If sugar levels are high in the body, this sugar will attach to haemoglobin. Sugar coated haemoglobin is referred to as glycated or glycosylated. A1C test measures the level of sugar attached to haemoglobin and hence test is referred to as HbA1C where Hb is the short form for Haemoglobin. People who have the above four factors should regularly get HbA1C test done. Everyone above the age of 40 should get HbA1C tested once a year to check for risk of diabetes / pre- diabetes. People who are pre-diabetic or diabetic will need it more frequently to be able to manage their sugar levels well. Two consecutive readings of HbA1C test over 6.5% are an indication of diabetes. 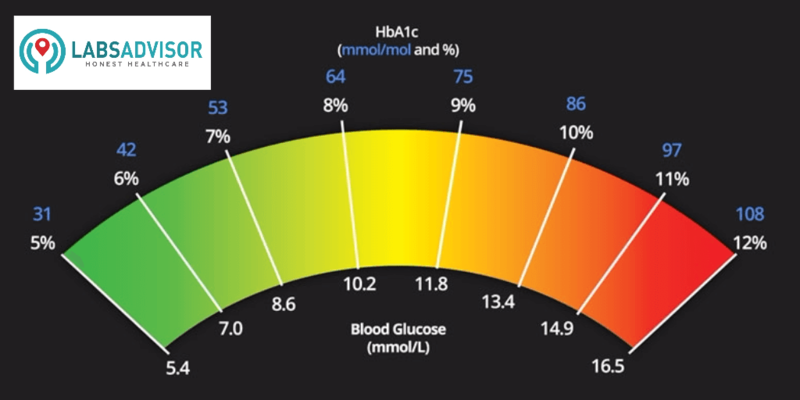 HbA1C reading between 5.7% and 6.4% is indicative of prediabetes this means you are at risk for developing diabetes if you do not take steps to prevent it.